The EKU Speech-Language-Hearing Clinic has regular therapy appointments Monday through Thursday between 8:30 a.m. and 5:30 p.m. Diagnostic sessions are scheduled on Fridays throughout the semester. Response to messages and client needs will be provided Monday through Friday during regular business hours. 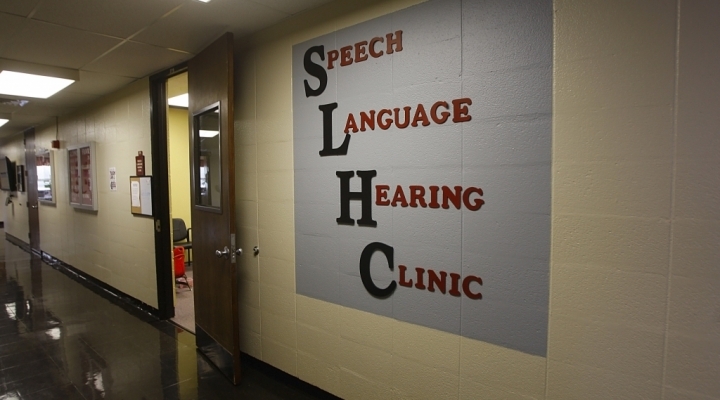 The Speech-Language-Hearing Clinic is on the second floor of the Wallace Building on the EKU Richmond Campus. 2 reserved parking spaces are available for registered clients' use during their regularly scheduled appointments in the Case Parking Lot. With an approved parking pass, clients may park in any employee parking space near the clinic (Ault Parking Lot, Perkins Parking Lot, Dizney Parking Lot); a campus parking map is available here.